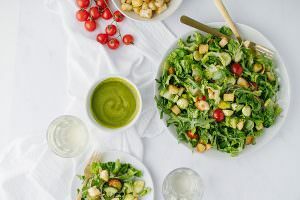 10 Easter recipes and crafts for your family and friends to enjoy this Easter season. Easter is almost here! We just have a few more days to finish our Easter menus and plan our Easter crafts. 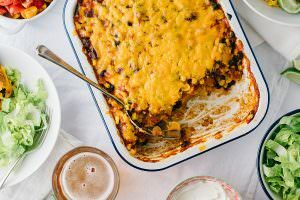 I’m not cooking this year, but if I were, I guarantee that you would see a few of these recipes on my table. 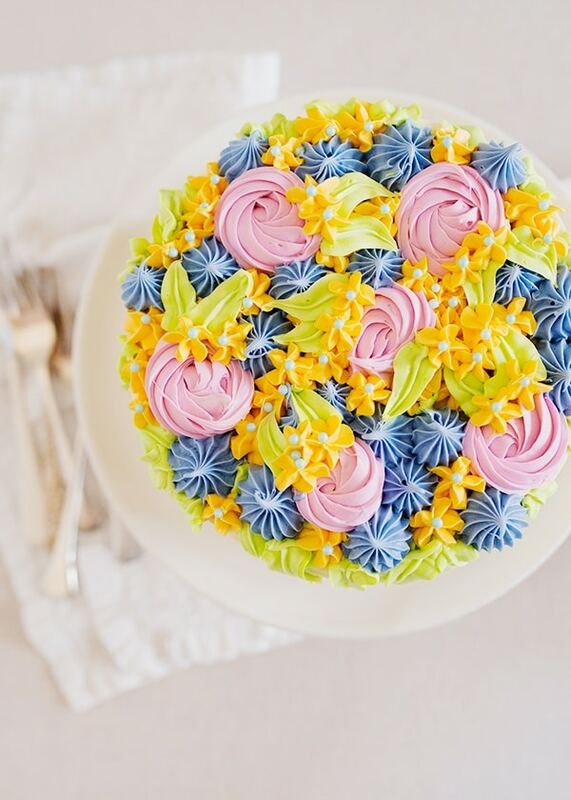 Cakes, treats, crafts, and simple desserts that just put you in the spring spirit. Lemon Coconut Roulade – An impressive springtime dessert. A springy sponge cake with a layer of lemon curd, coconut seven-minute frosting, and topped with toasted flaked coconut. This dessert is equally beautiful and delicious. 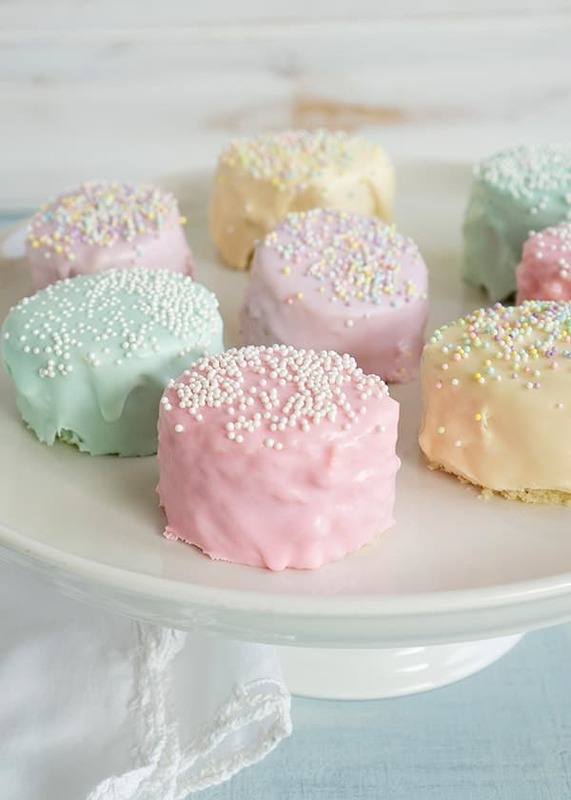 Easy Easter Egg Petits Fours – These delightful little Easter egg cakes are made with a homemade sponge, a layer of strawberry jam, and coated with a simple glaze to coat them completely. The glaze can be tinted and decorated in any color and for any holiday you like. 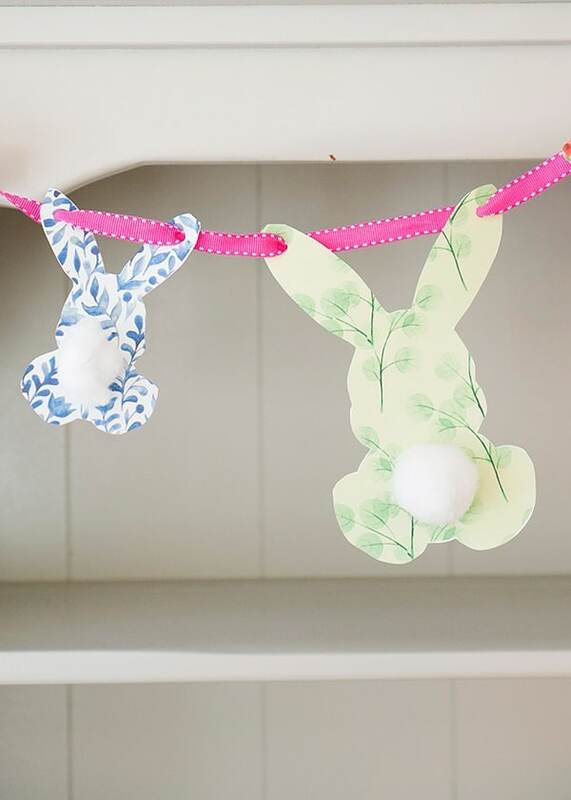 Bunny Tail Garland – Dixie Crystals has this adorable free printable for a bunny tail garland. I printed it out onto card stock, cut it out, and glued a cotton ball on for the tail. I punched some holes and threaded some ribbon to hang. It looks adorable hanging in my dining room. 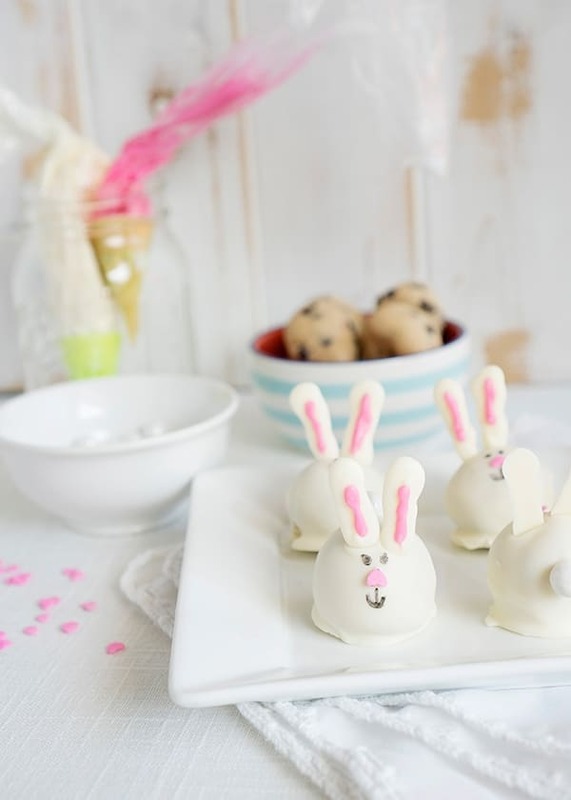 Chocolate Chip Cookie Dough Bunny Truffles – My daughter and I had so much fun making these. We made an eggless cookie dough and rolled them into balls. We dipped them into white chocolate and then made them into these sweet little bunnies. This was fun to make, and they are delicious to boot. Lemon Thyme Cupcakes with Honey Cream – These are one of my favorite spring desserts. They are technically a cupcake, but would also be a perfect brunch item. I would serve with some fresh berries and make a little trifle or shortcake out of it. Use Meyer lemons if they are in season, they are a little sweeter and are a vibrant yellow. Orange would also be great in this cupcake recipe. 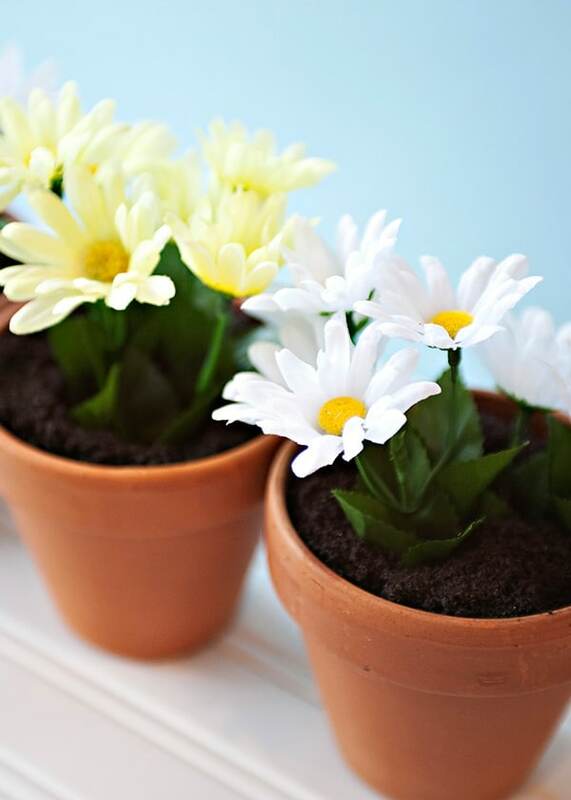 Dirt Cakes in Flower Pots – I make these almost every Easter for the kids. They really love a dirt cake (who can blame them?) and the presentation is just too cute. Tip – Trim a drinking straw and put it in before you fill the pots. Add the mixture around the straw, then put the flower stem in the straw. You can use fresh flowers in place of the fake ones. Use small pots for individual servings. Chickie Brownie Chocolate Truffles – How cute are these guys? These are little brownie truffle coated on chocolate. 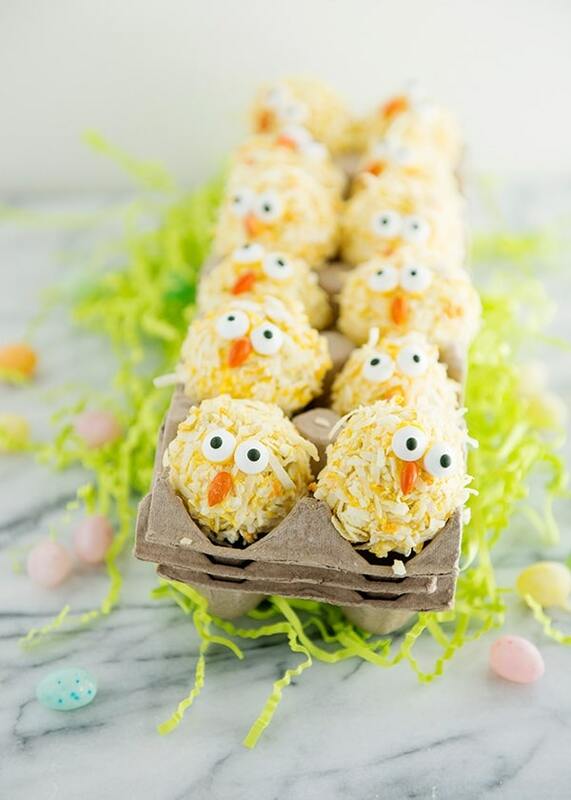 Then they are rolled in yellow coconut and made into these little chicks with candy eyes and orange chocolate covered sunflower seeds. These are so cute in an egg container. 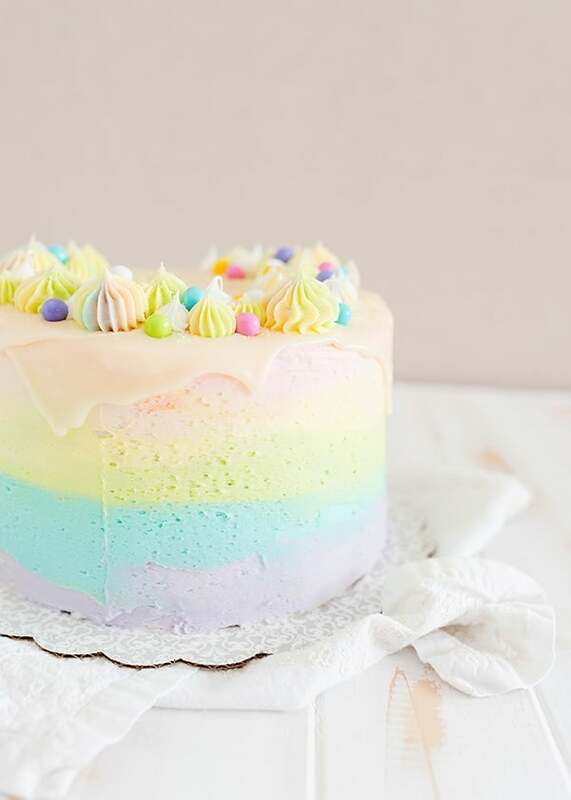 Pastel Rainbow Cake – Another cake that looks harder than it is. There is even a video to show you how I did it. This cake was a HIT. The white chocolate drip was incredible. Lemon Raspberry Pancakes – A perfect Easter breakfast. 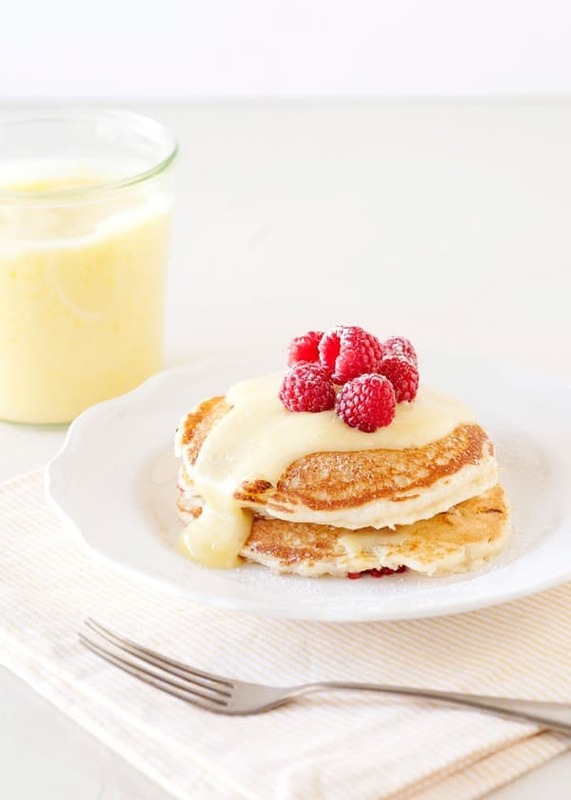 Lemon pancakes studded with fresh raspberries and drizzled with lemon curd. These are so good, and just scream spring. There you have it, some great crafts and recipes to get you ready for Easter. 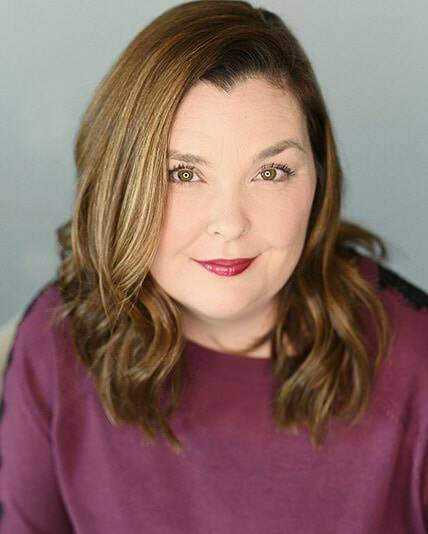 Everything’s so lovely, Bree! You take the most magical photos. 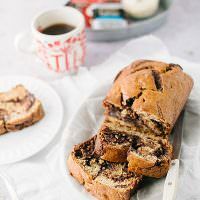 So many of your recipes are family favorites here! Your blog (and instagram) are a huge source of everyday joy for me. Thank you!! PS: Looking forward to the magic you share from Deutschland! You are so sweet to say that, thank you so much! 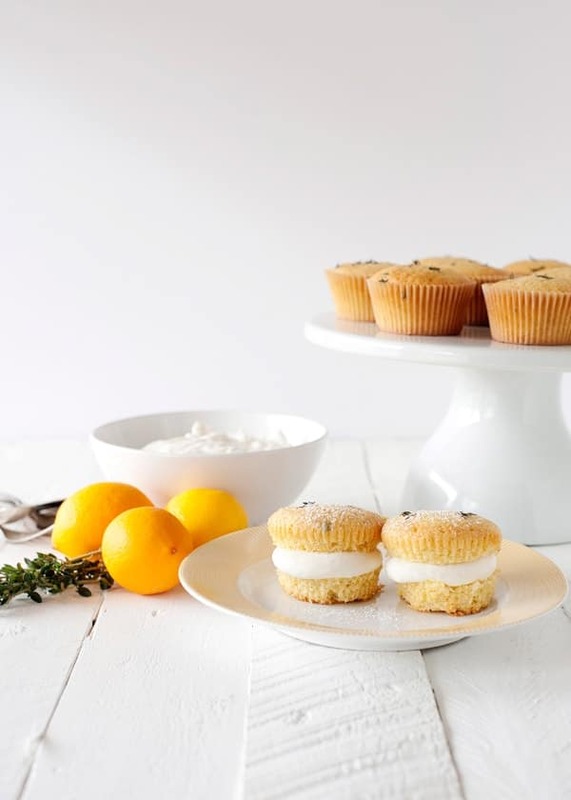 An excellent Lemon Thyme Cupcakes recipe with Honey Cream. Thanks!